It was around 6 years back, when I was setting several goals in my life and I was in a bit of confusion to decide which course of knowledge would be apt for my personality and intelligence. 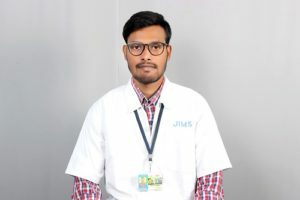 Since childhood I had visited many allopathic doctors and reduced my sufferings instantly, which led me to think that medical science is nothing but a bunch of memory based topics, where several tablets and bitter tonics are given for a particular disease. Thus medical science didn’t seem to interest me much and I never thought of becoming a doctor. It was during the summer vacation that year , I met a wonderful personality – Dr.Anitha who is a government homoeopathic doctor in my Grandmother’s village and she was the one who changed my opinion and proved every single statement which was in my mind about medical science to be wrong. Now I realise what attracted me towards this true healing system was the procedure of case-taking, Finally I fell in love with this system after studying it in deep and seeing the results of cure everywhere. To be frank, I felt silly at the same time surprising, when Dr.Anitha asked me about my personal history, life style, interests, dreams etc etc . It was about an hour that I was in conversation with her (till then I had experienced max of 10min conversation with a allopathic doctor), where I answered all her questions doubtfully. After completion of my case-taking, I curiously asked her what these data help for. 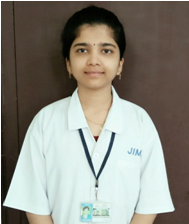 Then she explained to me about the individualistic approach towards the patient is the main concept of homoeopathy and also guided me with several other cardinal principles of homoeopathy and t the characteristics of a healthy human being. This created a lasting impact in my mind and attracted me towards homoeopathic system. After knowing few drops of knowledge about this vast sea like healing system, I decided to be a HOMOEOPATH with pride of true knowledge. A homoeopathic physician must have a good concentration with an eye on on the patient’s constitutional, miasmatic, individual, peculiar, rare, strange and characteristic symptoms than on the pathological changes. 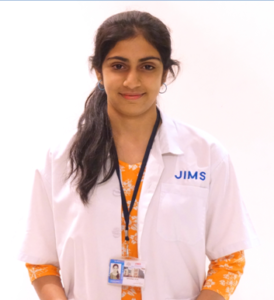 Now I’m confidently studying BHMS by getting true classical homoeopathic knowledge day to day in JIMS homoeopathic medical college.